The CRUNCH! is back. In September, DC's titles will feature an early days focussed zero issue to mark the first birthday of the DC52. To match, four new titles will take flight beside them. CRUNCH! 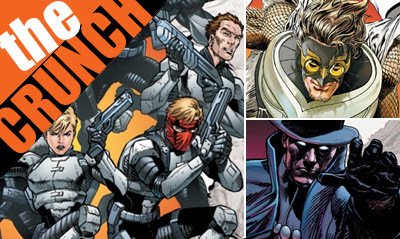 TEAM 7 Wildstorm's special ops franchise crashes into the earliest days of the DC52! Written by Image Comics hit-maker Justin Jordan with art by Superman star Jesus Merino, the new line-up is; Dinah Lance (Black Canary), Amanda Waller (The Wall), Steve Trevor (Wonder Woman's former flame), John Lynch (Wildstorm's Team 7 telekinetic strategy-man), Alex Fairchild (father of GEN13-er and now Ravager Caitlin), Cole Cash (Grifter) and Slade Wilson (Deathstroke). CRUNCH! SWORD OF SORCERY This has my attention. 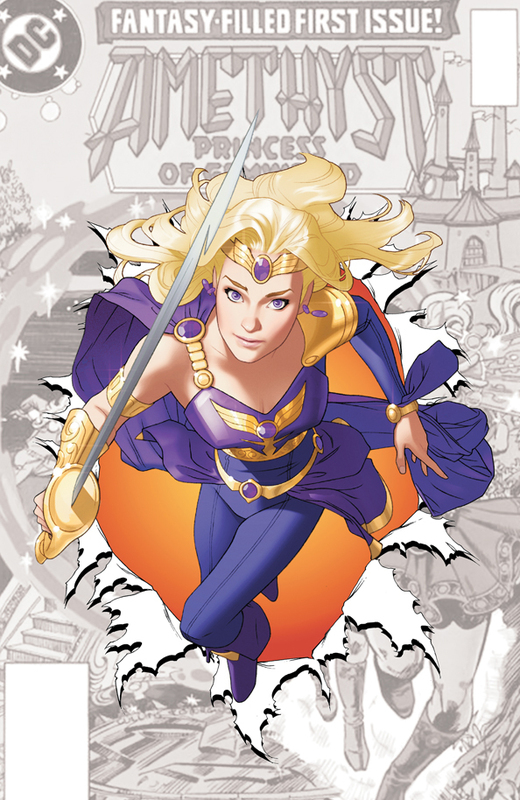 Sword and Sorcery is fairly AWOL from modern comics and that's something creator of Jem and the Holograms, Christy Marx and artist Aaron Lopresti will fix with the return of Amethyst (a girl and her mother on the run from forces trying to prevent her royal legacy), here. Talon turns hero and gets his own book, I am not surprised. I'll have to keep an eye out for these then. Love the old PS cover you posted,as I used t have that exact one back in the day. I also was a big Team 7 fan way back when too, so I might really check that out, especially if the Wall's in it too? Yeah OA I thought that might happen. I'm not really a fan of comic villains going good, but will be interesting to see what happens here. Swamp Thing and American Vampire mean anything Scott touches is deffinitely worth a peek. Dale - glad you liked the PS cover. I'm hoping they keep the Justice League tie in factor to a dull roar and keep Phantom with more of a sense of those old classics. That would be awesome! 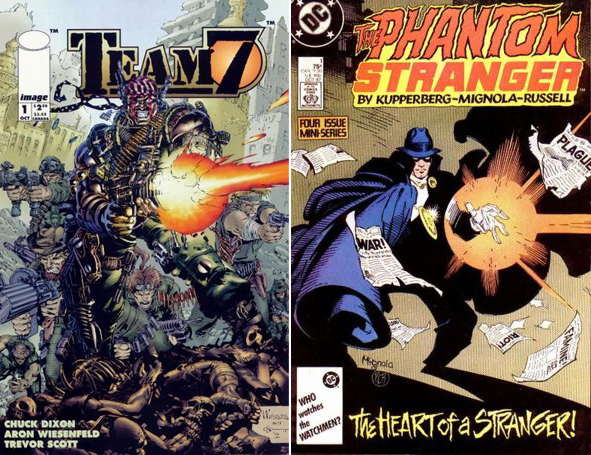 As for Team 7, I was a massive Wildstorm fan back in the day, if this leads to Backlash and Deathblow coming into the new DCU as well, I'll be one happy camper. The Wall was a great addition - and Black Canary too - about time her fighting skills got recognised. Now what will be the three titles apart from the already announced Justice League International to be cancelled to make room for these four?